To assist you in getting the most from your search for answers The Computer Geek has prepared a growing list of frequently asked questions. If you do not find the answers you are looking for please don't hesitate to Contact us. We look forward to your questions and are constantly working to make your investment in our services a positive one. Where Do I Begin? - Call us at 905-426-1784 to speak to a Computer Geek Consultant or Email Us at Contact us. How Long Will It Take To Build My Site? - While every site differs in scope, we complete most projects within 30 days. We often complete our projects much quicker than that. As quick as five - six days for a simple site. Will You Do Work On My Existing Website? - Upgrading or changing your existing site is one of our Specialties. We usually work for a set fee or an hourly rate. All of our quotes are firm and we stick by them. What Are The Payment Terms? - 50% is due at the start of the project and 50% is due upon completion. Can I Make Future Upgrades To My Site? - Yes. Incremental upgrades or redesigns can be performed. After the initial design all changes are based on an hourly rate. Why should I register a domain name? - Yes, a domain name is required. This is the address that people will find your website. Many organizations find it useful to have an e-mail address or URL (i.e. :www.your-name.com) that is similar to their company name. A domain name allows you to receive e-mail at a customized e-mail address. If your organization's name is Example, Inc., you could register the domain name EXAMPLE.COM and your e-mail address could be anything@example.com. Your customers would also be able to access your organization's WWW site by visiting "www.example.com" with their Web browser and sending e-mail to anything@example.com. How much does a domain name cost? - We usually include the cost of the domain name in with the site as a FREE bonus for dealing with the Computer Geek. How can I determine whether the domain name I want is available? - As a Free Service to our prospective customers The Computer Geek provides easy access to the InterNic database to conduct a domain name search for you. In addition to searching the InterNic's Whois database, The Computer Geek can assist you in selecting an effective name for your professional or personal needs. What is a virtual host and do I need one? - To have a full-time Internet presence, your organization needs to have specially configured computers that are connected to the Internet full-time. The associated costs can be quite costly, depending on your connection speed, software and hardware configuration, along with maintenance requirements. A virtual hosting service relieves your organization from the burden of having dedicated hardware/software and human resources devoted to this. At the same time, virtual hosting services will give your organization a realistic and full-fledged Internet store-front to the rest of the Internet. Since your electronic store-front actually resides on a hosts computers, not yours, it's virtual. This is where the name "virtual host" comes from. ftp.your company.com - a virtual anonymous ftp server for your company. This allows you or your web designer to upload or download information to your web site. E-mail forwarding - you can have your e-mail address as anything@your company.com forwarded to your real e-mail address(es). The above three comprise a true Internet presence package. Depending on your hosting company's e-mail forwarding setup, you can have arbitrary e-mail aliases. A few examples: support@your company.com, sales@your company.com, info@your company.com, Webmaster@your company.com, personnel@your company.com. They are all forwarded to your real e-mail address(es) transparently. Best price/feature ratio you could possibly find on Internet. Fast redundant OC3 direct lines link to Internet Backbone. 7x24 Technical support with 99.9% network uptime. Complete web-based control center to get full control of your website. Support most features you need to build your website like CGI/PERL/PHP/SSI/SSL/MYSQL. What should a professional web site include? - A professionally designed web site will include several common characteristics. As professional web designers it is our job to ensure that these characteristics are included in your web site. As a matter of reference we have included partial list of these points for your consideration. With a wide range of browsers, computer types, and modem speeds it is important to have your web pages load quickly and correctly. Failure to do so will result in a loss of potential visitors and in many cases cause their browser to crash. Eliminating this problem is a matter of professional design and programming. As a consideration keep in mind that your web pages should not be overdone with graphics, advanced design features, or content. The Computer Geek can assist you in establishing the perfect medium. Statistics for Internet users show that the average person spends only 7 seconds on each page. Designing a successful web site should always begin with complete focus and clarity of your message. Before submitting content or drafts to your designer we recommend that you consider the content of your message completely. The Computer Geek can then assist you in developing a web site that will effectively engage visitors with the content and message provided by your web site. 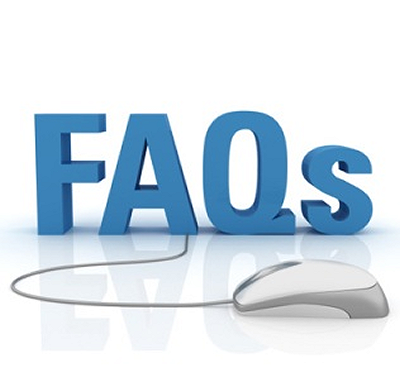 Consider the follow questions when developing the content for your web site. Does your site contain useful information? Can a potential customer who is new to your business understand what you are selling? What purchasing decision do you want them to make at your web site? Are you giving them information to make that decision? And finally, is your site compelling? A site without solid content or engaging exploration will likely produce little results. If you have any questions regarding the content of your proposed, or existing web site, The Computer Geek can help. For your web site to effectively stand out in today's market it is important that the use of colors and graphics are compelling and well structured. While the job of producing professional graphics should be left to your designer it is helpful to consider the following questions when compiling your materials or suggestions for your web site. Does the content of your images or suggestions support your message? Is there an effective color scheme or do your images clash with one another? Do the graphic elements enhance your web site through navigation or meaning, or do they cloud your message with distract? Consistency will give your web site a professional look and allow visitors to comprehend and effectively navigate your pages content. The Computer Geek place a great deal of importance in designing our customers web sites with a compelling yet consistent look. The result will be a professional web site that allows visitors to quickly navigate your web site to find relevant information. You can assist your designer by selecting materials that support your basic image or message. A successful web site will always reflect the personality or selected marketing image of its owner. As a result of the Internet's level playing field a professionally designed web site that demonstrates a good use of charisma can compete with even your industry's leading companies. You may have more to say than your competition, but without charisma your web site may never reflect it. Frequently Asked Questions | The Computer Geek 5 out of 5 based on 103 user ratings. To assist you in getting the most from your search for answers The Computer Geek has prepared a growing list of frequently asked questions.